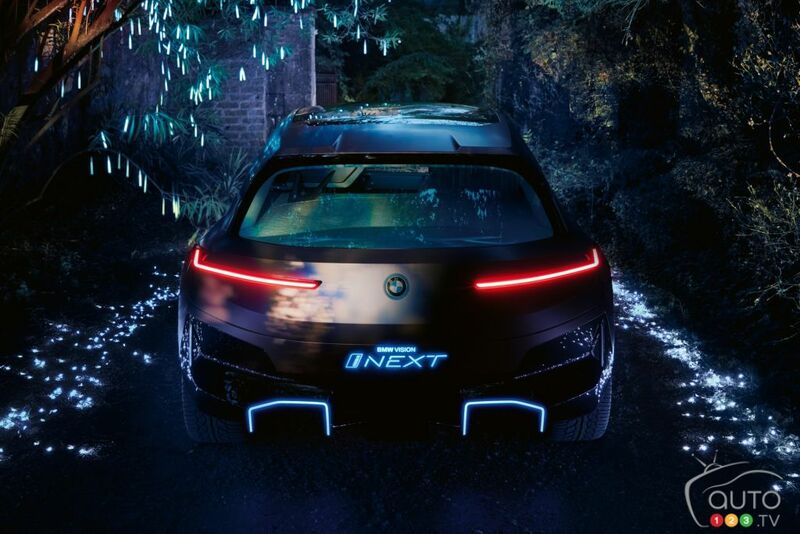 Its commercial launch is still far off, but BMW has provided a detailed first look (after several teasers) at its Vision iNext. The full electric and highly futuristic SUV will be a fully autonomous driver… if the technology has advanced far enough by 2021. 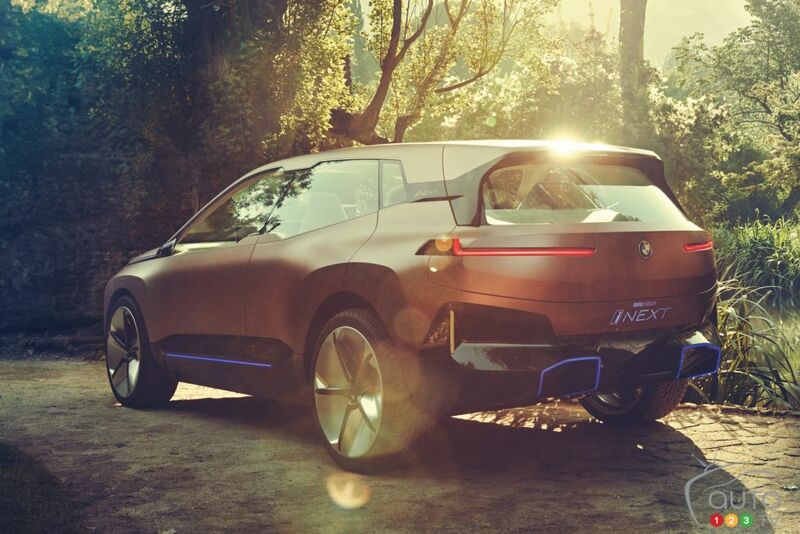 In terms of style and format, the brand’s signature for its SUVs is immediately apparent, but there are several prominent elements and features that tag the iNext as a concept. 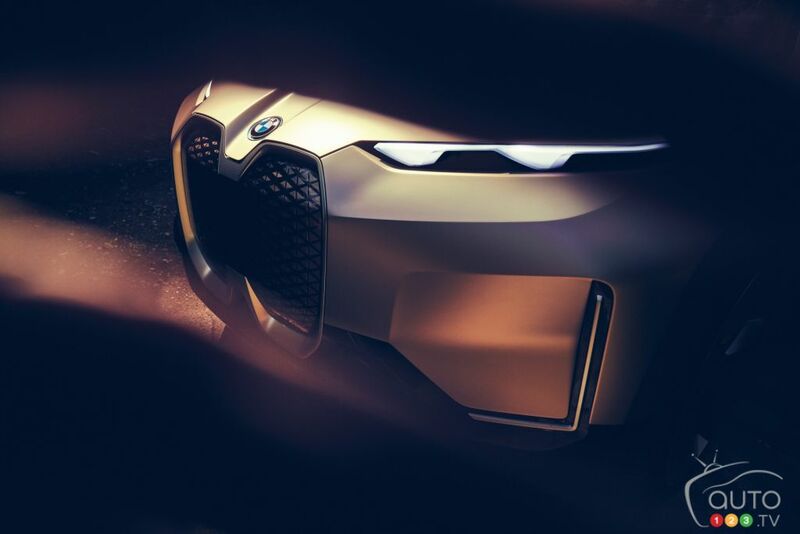 The front provides a glimpse of what is likely the future grille of BMW’s models. We say glimpse, because what we’re seeing here is a design study, and it’s a safe bet that the eventual production model in three years’ time will sport much gentler styling. Getting inside the iNext involves opening up “suicide” doors. The vehicle has no B pillars, allowing for better visibility. Overall, the presentation is fairly minimalist, and decked in largely cloth and wood materials. The Vision iNext can be driven in two drive modes. Boost mode is designed to allow greater control by the driver; Ease mode is for autonomous driving. Activating the latter mode causes the steering wheel to move back slightly and the cabin to go into Exploration mode, allowing occupants to consult information on nearby points of interest. The concept vehicle also features a suite of technologies called Shy Tech. These systems are not visible from the cockpit, are nonetheless available to the driver. They include features like a personal assistant that handles communications with the vehicle. The interior’s materials, meanwhile can serve as control and command surfaces. The sky’s the limit, or almost, when it comes to the iNext. That said, if and when the project heads for the production phase, we can expect some of the more fantastical elements to fall by the wayside. 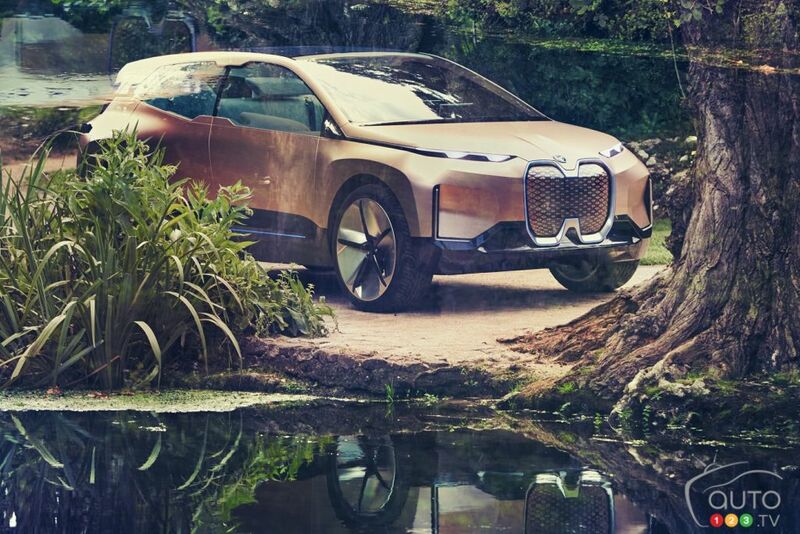 An interesting takeaway from the reveal of the Vision iNext is how BMW’s and other German manufacturers’ strategies involve aggressively pushing development of electric technologies. A beneficial side-effect of the Volkswagen diesel scandal, you might say.